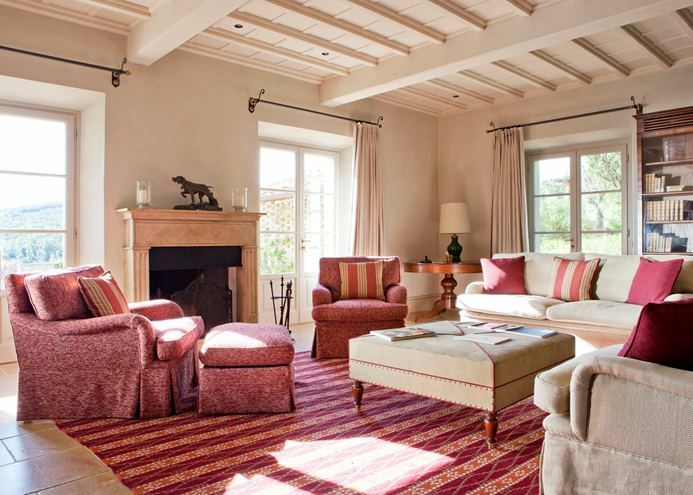 This sophisticated house features elegant interiors, Tuscan accents, and a captivating view of the enchanting Val d’Orcia. 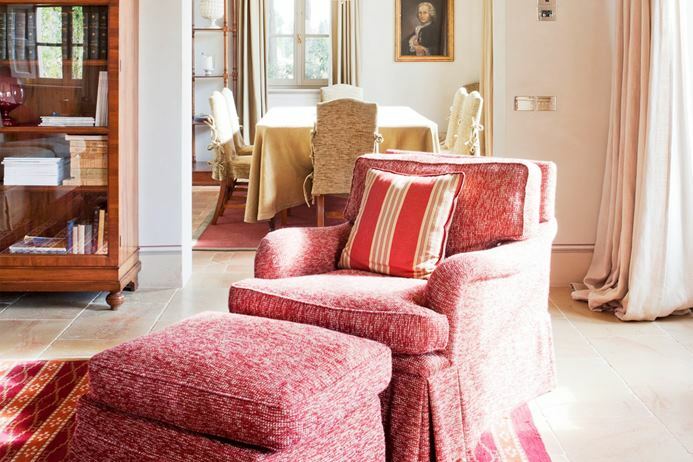 Villa Clio, also known as BRV CLI, is a 4-bedroom villa in Tuscany, located just 15 minutes from Montalcino, an hour and 10 minutes from Siena and 2 hours and 10 minutes from Florence. 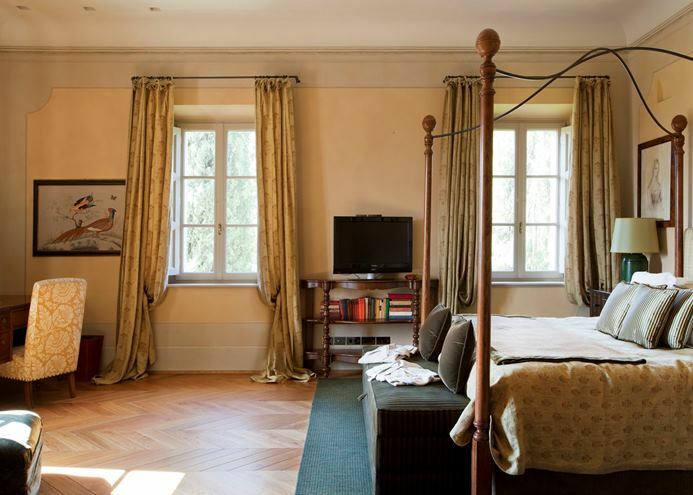 Villa BRV CLI is a carefully restored building that once served as a police station. 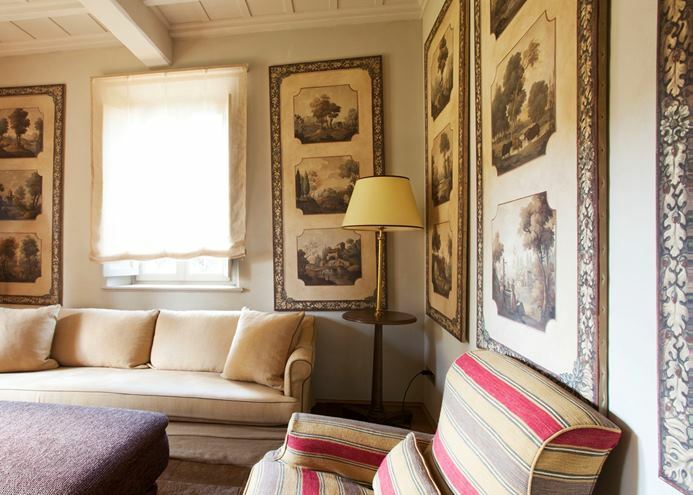 The living room has a cozy fireplace and large windows, which fill the room with natural light. 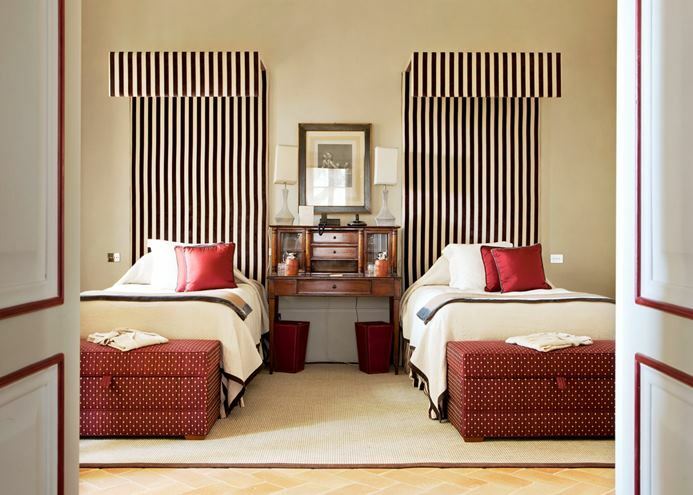 Traditional décor is enlivened with red accents and a patterned rug. A small library and TV room offers comfortable sofas and armchairs and a calming, neutral palate. A formal dining room with seating for up to 8 guests enjoys gorgeous views with a full wall of windows that look out onto the garden and patio. 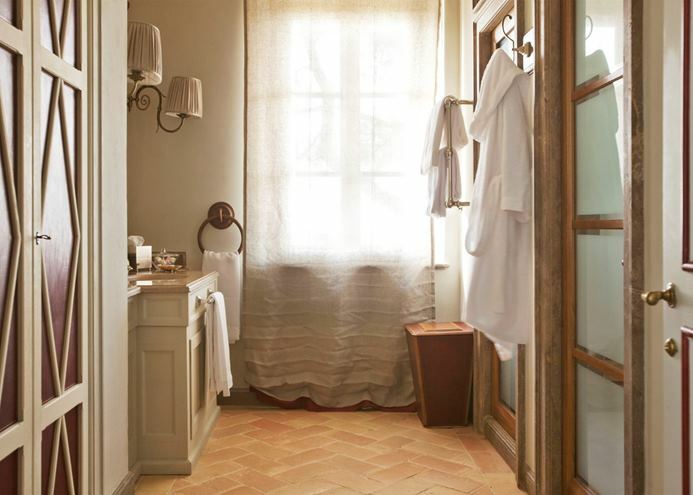 A laundry room and 2 powder rooms are also located on the main level. 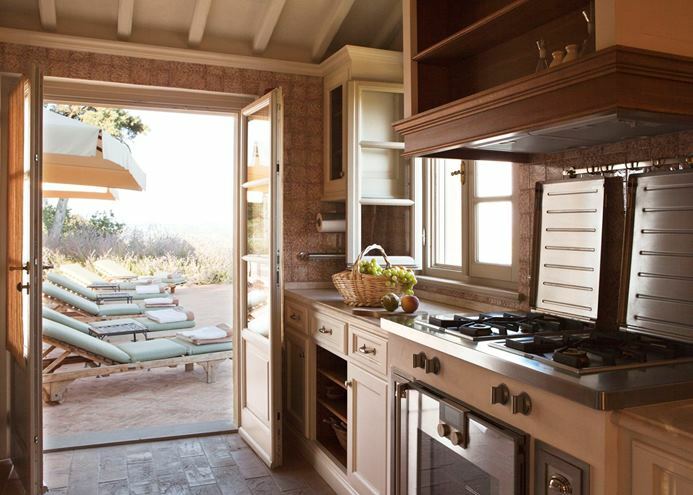 Complementing this level is a well-equipped kitchen, which opens onto the pool deck. A large changing room and full bathroom with shower are located next to the pool. 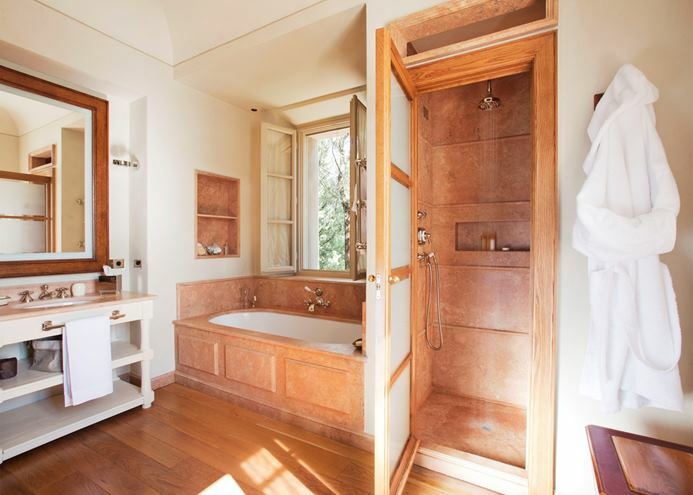 The master bedroom has a 4-poster, king-size bed, a walk-in closet and an ensuite bathroom with a tub and separate stall shower. 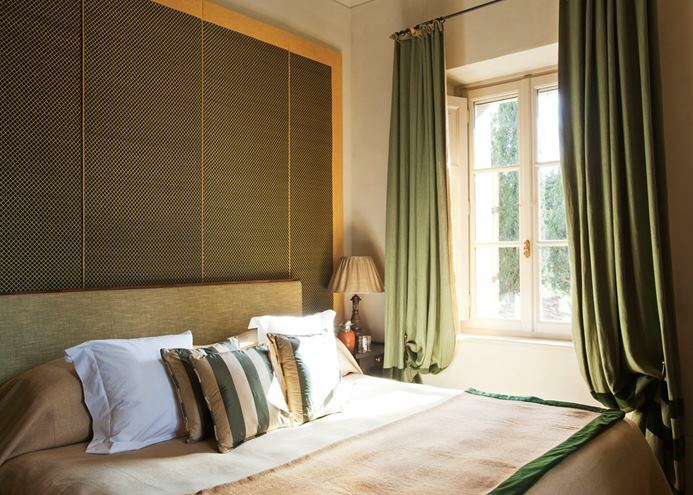 The second bedroom also has a king-size bed and ensuite bathroom with shower, while the third bedroom offers large twin beds, a stylishly decorated sitting area and an ensuite bathroom with shower. 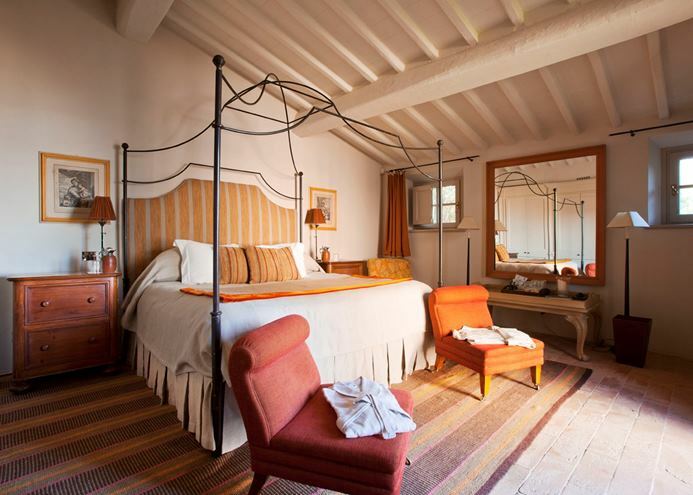 The fourth bedroom is located in the guesthouse and features a king-size bed, sitting area and ensuite bathroom with shower. The large brick patio is nestled among the lawn’s gardens and lavender plants, and furnished with cushioned chairs, lounges, and umbrellas for shady relaxing or sunbathing poolside. 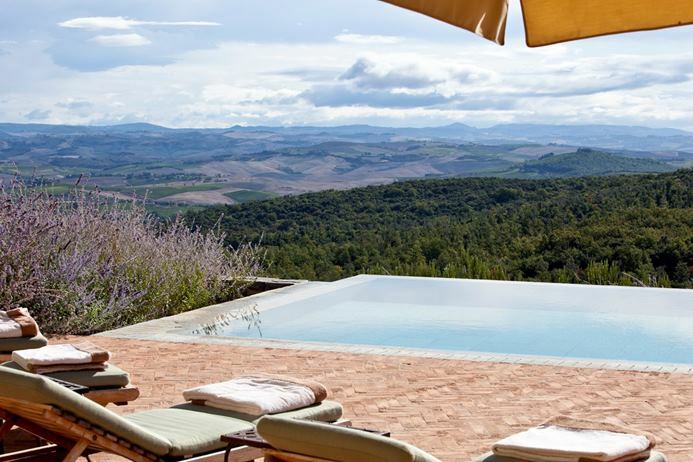 The heated, infinity edge swimming pool overlooks miles of Southern Tuscany and neighboring Montalcino. This non-smoking villa also comes with a helipad, iPod docking stations, satellite TV, a security alarm, WiFi, an on-site Kids’ Club and complimentary groceries upon arrival. A pastry basket is delivered daily. The estate provides excellent amenities, including spa, culinary school, restaurants, winery, fitness center, tennis courts, hiking and biking trails, horseback riding, golf and extensive gardens. 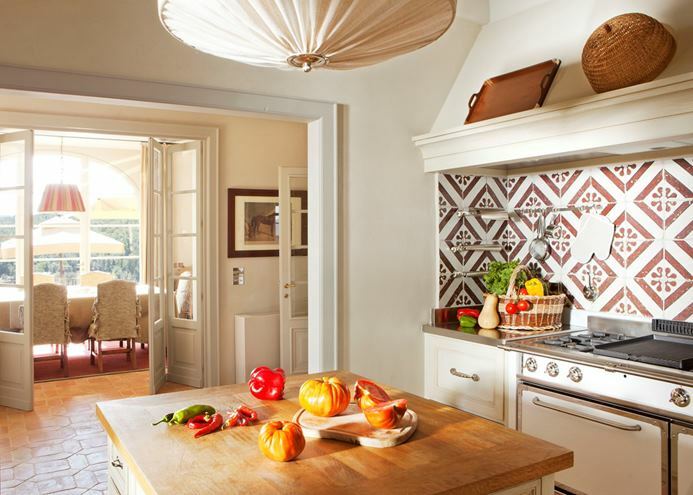 Villa Clio, or BRV CLI, has house cleaning services available during the week.